The MABAT CDU-1500 types are offering a circulated chemical loop between the unit and the plating tool. The systems' are allows internal batches preparation and circulating the chemical while controlling the required parameters of temperature and pH levels. 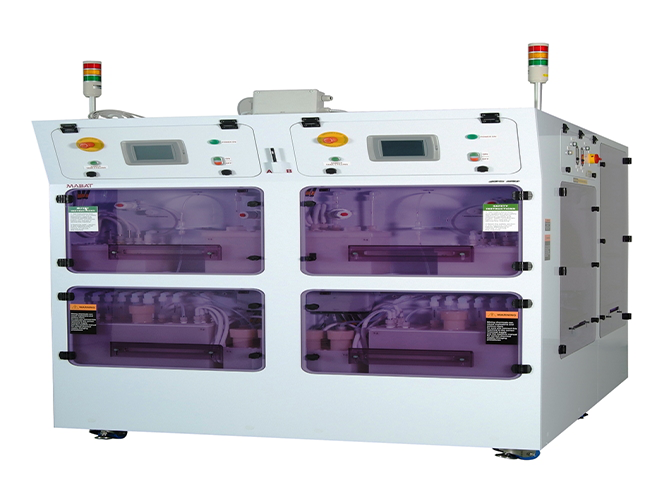 The system is build as two identical, independent units in one cabinet to support two chemicals supplies to the plating process. The unit can be delivering in one cabinet, half size, to support one main chemical batch only. Only the highest quality components are used in its construction and the module controller utilises the very latest control technology. The CDU can be interlinked with existing factory monitoring systems, please consult with MABAT’s software engineering dept.